What’s even scarier than ghosts, ghouls and goblins? Tooth decay! Or at least it should be. Unlike these characters, tooth decay and the pain and discomfort it can cause is all too real. But you don’t have to fall victim to tooth decay this Halloween. You can protect the health of your teeth and the health of your family’s teeth by being proactive about your dental care. A visit to the dentist can get you the dental sealants and fluoride treatments that protect against cavities. You can also take care of any lingering dental issues to ensure that your holiday season isn’t interrupted by a dental emergency. Cross dental check-up off your holiday preparations list today and make an appointment with the experienced dentists at South Shore Dental Care. They want to help you and your family have a healthy holiday. South Shore Dental Care proudly serves patients throughout Massapequa, NY, Long Island, Merrick, Bellmore, Wantagh and surrounding areas. 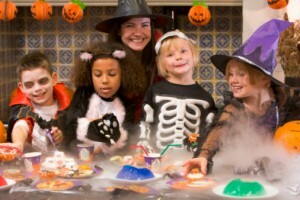 Donating Uneaten Treats- Allow your kids a set amount of sweet treats and then get rid of the rest. Having a stash of sugary treats is too much temptation for anyone.Consider donating the leftover candy to a local senior citizens home, food pantry, Ronald McDonald House, or children’s hospital. Now you can step confidently into the New Year knowing that your teeth didn’t suffer over the holidays. Give your family the gift of good dental health by making an appointment with the compassionate dentists of South Shore Dental Care. They’re available throughout the holiday season to help you with your dental check-up needs. South Shore Dental Care proudly serves patients throughout Massapequa, NY, Long Island, Merrick, Bellmore, Wantagh and surrounding cities. by: South Shore Dental Care at October 9, 2014 .